- ISRAËL – Jérusalem - Archaeologists have cleared out a 2,000-year-old tunnel running under the walls of Jerusalem’s Old City and plugged up over the generations by accumulated debris- Archaeologists believe the tunnel served to drain rainwater near the Second Temple, the centre of Jewish faith destroyed in A.D. 70. It runs near — but not underneath — the sacred and politically explosive enclosure known to Jews as the Temple Mount and to Muslims as the Noble Sanctuary, home to the Al-Aqsa mosque. Archaeology and politics in Jerusalem are entangled, and there was criticism of the new excavation Tuesday from both Palestinians and dovish Israelis. 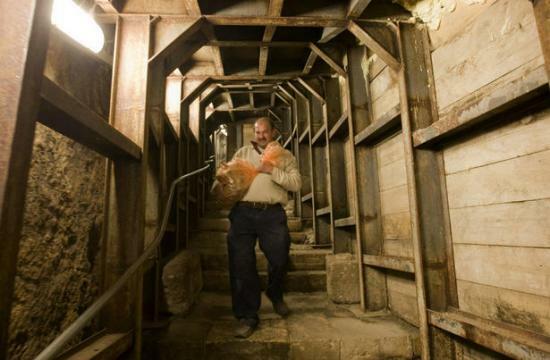 The tunnel runs almost 600 metres from inside the Old City to the nearby Palestinian neighbourhood of Silwan, where an Israeli settler group, the Elad Association, both funds archaeological digs and moves in Jewish families, angering Palestinians. The group, which works closely with arms of the Israeli government and the Jerusalem municipality, aims to prevent any division of Jerusalem in a future peace deal. Antiquities officials and Elad declined to say Tuesday whether the group had provided funding for the tunnel excavation, but a 2007 statement by the Israel Antiquities Authority said the excavations were being carried out jointly with Elad. Palestinians claim Silwan as part of the capital of a future Palestinian state. Israel captured all of East Jerusalem from Jordan in the 1967 Mideast war and annexed it soon afterward, a move that has not been recognized internationally. Israelis know Silwan as the City of David, named for the biblical king believed to have ruled from Jerusalem. Critics see the Silwan excavations as part of an attempt to cement Jewish control over heavily Palestinian areas of Jerusalem. - CHILI - Arica - Quatre momies précolombiennes ont été restituées au gouvernement du Chili par le Musée Ethnographique de Genève jeudi dernier, après qu’un collectionneur suisse s’en soit séparé volontairement. Deux d’entre elles sont considérées comme les plus vieilles momies du monde, et constituent un pan important de la culture chilienne- Deux des momies appartiennent à la culture Chinchorro (7000 à 1500 ans avant JC), une autre est précolombienne, même si sa datation est incertaine, et la dernière provient de la période des premiers contacts avec les Espagnols. Les momies Chinchorros, connues des archéologues depuis 1917, sont considérées comme étant les plus vieilles du monde, datant de 5000 avant J- C. Les Chinchorros étaient des pêcheurs qui vivaient le long de la côte nord du Chili, du côté d’Arica. « Chinchorro » est d'ailleurs un ancien mot espagnol qui signifie «filet de pêche »*. En plus des quatre momies, la collection privée comptait encore d'autres vestiges humains. Malgré un examen approfondi, les experts n’ont pas pu attribuer de culture déterminée à ces restes qui se trouvent dans un état avancé de désagrégation. Ces restes indéterminés seront inhumés à Genève au printemps 2011 à l’occasion d'une petite cérémonie. - EGYPTE – Gizeh - A French architect campaigning for a new exploration of the 4,500-year-old Great Pyramid of Giza said on Thursday that the edifice may contain two chambers housing funereal furniture. Jean-Pierre Houdin -- who was rebuffed three years ago by Egypt in his appeal for a probe into how the Pyramid was built -- said 3-D simulation and data from a US egyptologist, Bob Brier, pointed to two secret chambers in the heart of the structure. The rooms would have housed furniture for use in the afterlife by the pharaoh Khufu, also known as Cheops in Greek, he told a press conference. I am convinced there are antechambers in this pyramid. What I want is to find them," he said. In March 2007, Houdin advanced the theory that the Great Pyramid had been built inside-out using an internal spiral ramp, as opposed to an external ramp as had long been suggested. He proposed mounting a joint expedition of Egyptian antiquities experts and French engineers, using infrared, radar and other non-invasive methods to check out the hypothesis. 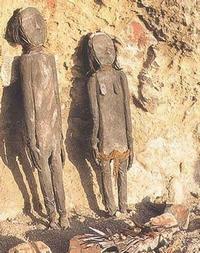 The idea was nixed by Egypt's antiquities department. A Canadian team from Laval University in Quebec will seek permission this year to carry out thermal imaging from outside the Pyramid to explore the theory, Houdin said. Houdin said a pointer to the antechambers came from the existence of such rooms in the pyramid of Snefru, Khufu's father. It was possible a similar design was retained for the Great Pyramid. In addition, blocks in the northern wall of the king's chamber in the Great Pyramid indicate an overlooked passage which led to the hypothesised chambers and also enabled the funeral party to exit, he added.